First offered for the Club Field Trials in 1932. The 1931 AGM of the Club was held in Jury's Hotel in Dublin on Monday, December 14th 1931 and while, nearly eighty years on we can only wonder from a position where such a thing would never be thought about or allowed, the following was discussed. 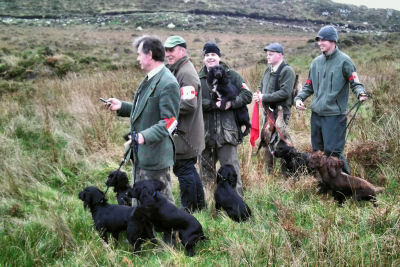 "With a view to field trials in 1932 and to aid the Club funds it was proposed to have a raffle early in 1932 of a cocker puppy. The draw to take place at Navan Show. All present at the meeting were unanimous in their thanks to Mrs. Rathborne when she promised a puppy of Expert field trial breeding for the Raffle. The tickets to be 1/- each." However sadly by the next meeting of the Committee in March 1932, the death of Mrs. Rathborne had been announced. 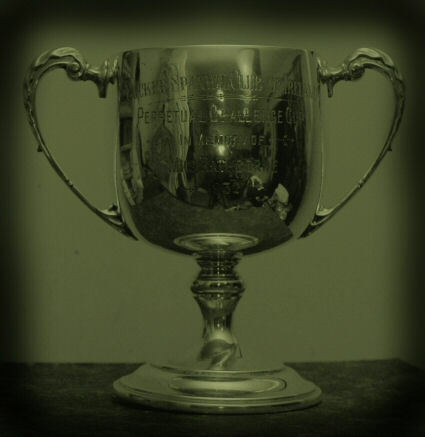 At the May 5th meeting, the raffle having raised Â£21-3-0 and the cocker pup having been won by a Mrs Doyle, Dublin (Ticket sold by the Club president - the Reverend Brother A. D. Ryan), The Club proposed to purchase a Cup to honour the memory of their late Honoury Secretary. Duly purchased from Messrs. Strokes, the Cup was to be competed for annually at the Field Trial meetings. 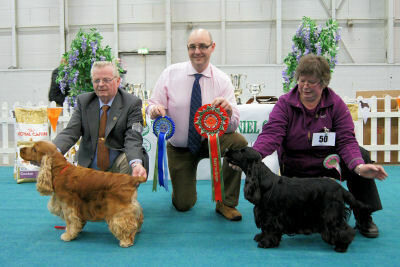 1932 Best Cocker of the Annual Field Trials presented by the Club. 1934 N. M. Clarke's - Beat F.T. CH. Of Indigo Kennels, Leggs, Co. Fermanagh. 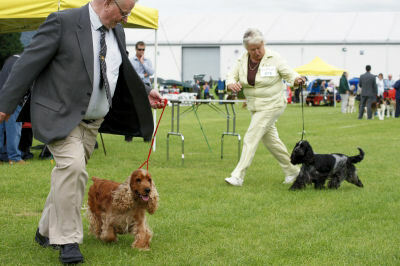 Mrs. Rathborne was an elected Member of The Irish Spaniel Club since March 17th, 1925 and an original member of The Cocker Spaniel Club of Ireland. The Club had the privilege to have her as Honoury Secretary from the Clubs formation until December 1931. An extract from Cara na Dilse Vol 3. No.1, Jan 1929 (Irish Kennel Club Journal) showing Mrs. Rathborne on form.